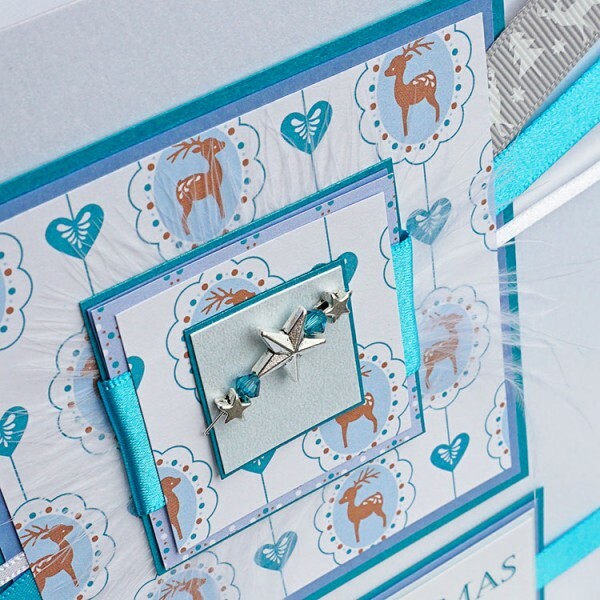 Handmade Boxed Christmas Card "Frosty"
A luxurious card personalised for someone special, featuring a reindeer papers and ribbon, embellished with silver plated stars and Swarovski beads. 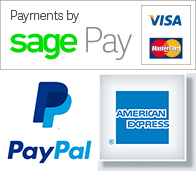 The personalised wording of your choice is mounted on silver sparkly cards. 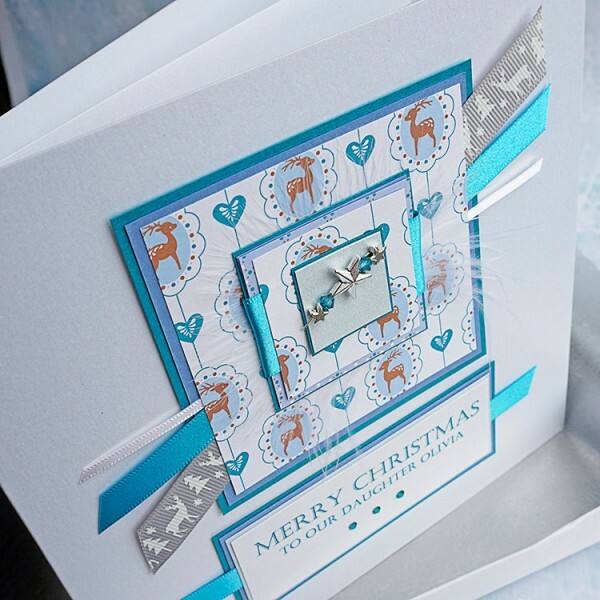 The design is created on a heavy white pearlescent card and comes with a lovely matching pearlescent white insert. 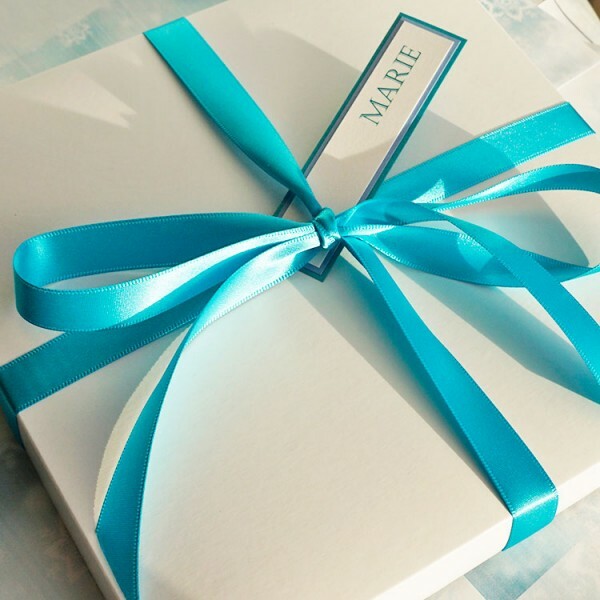 The card is presented in a tissue lined box, tied with a satin ribbon. The card can be personalised for a special friend or relative, such as Sister and Husband, Brother, Daughter, Mum & Dad or could simply read 'Merry Christmas'. Please enter your own special message in the box when you order. 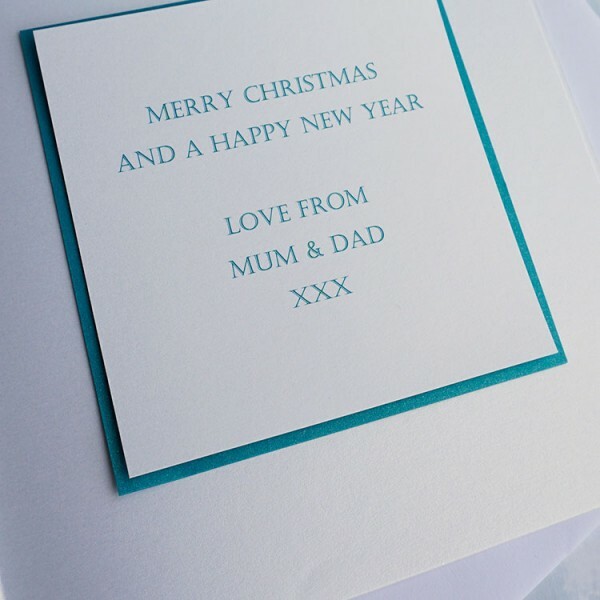 Luxury handmade Christmas Card "Frosty" for Dad, Grandad, Son, Nephew etc A luxurious card pe..